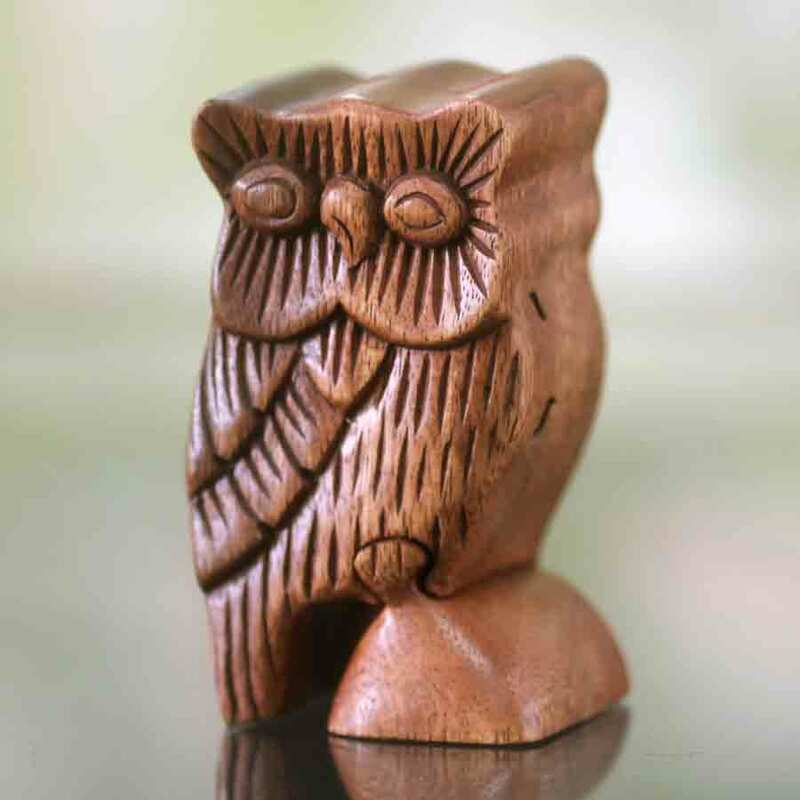 Unique hand made wooden puzzle boxes from Novica, in association with National Geographic. 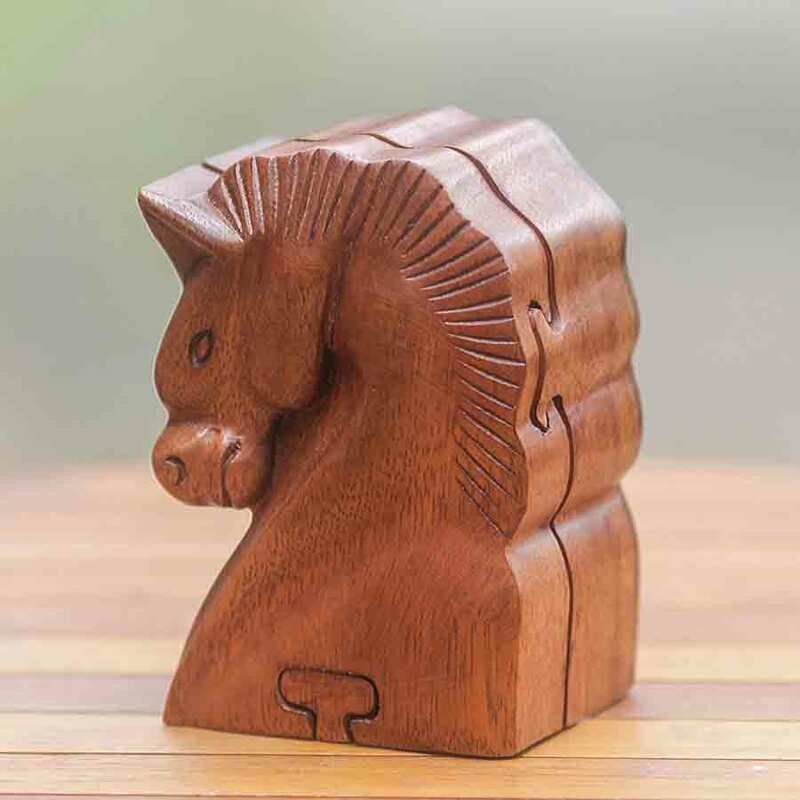 Purchasing a wooden puzzle box will help fair trade with artisans from all over the world. By June 2014, Novica have sent more than $50 million to craftsmen and women all around the world. 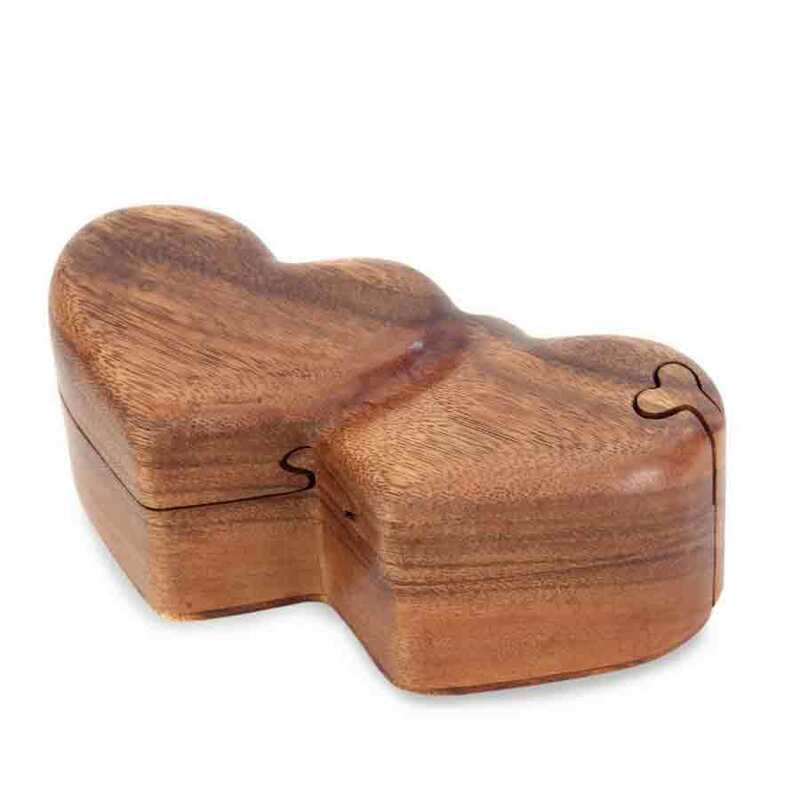 Carved by hand from suar wood, two hearts nestle together in a show of unity in this charming puzzle box. Eka presents this beautiful tribute to love. The box is perfect for small personal treasures. 'Flying Fish' wooden puzzle box. 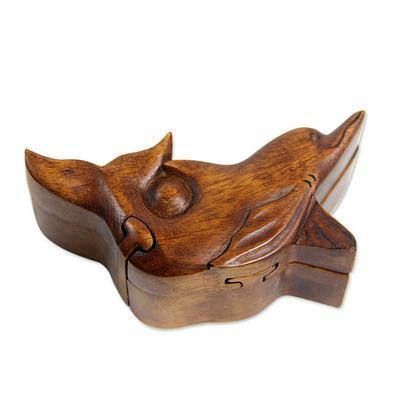 Hand-carved from richly grained suar wood, this charming puzzle box takes the shape of a dolphin. Balinese artisan Eka names it for a coastal area in northwestern Bali. "We can watch dolphins every morning in Lovina while they hunt for tuna", the artisan explains. The box consists of 4 pieces, cleverly carved to fit together smoothly. 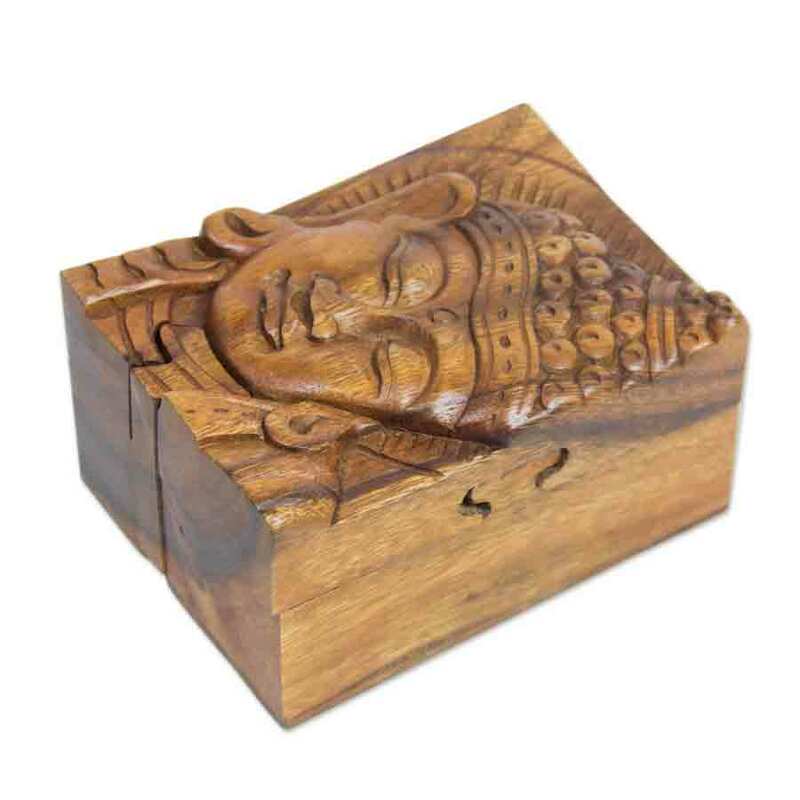 Buddha's glorious presence is revealed in the delicate artistry of this puzzle box. From Eka, the box is carved from suar wood in four pieces designed to fit perfectly together. The magnificent head of a Sumba horse is sculpted from suar wood to be transformed into a decorative box with a secret. Four pieces link together like a puzzle to hide personal treasures inside this box from Eka.